Photo: Chamber board member Kayla Kinard and Chamber president Jay Cordell hold the ribbon as Runnings manager Brandon Freed cuts the ribbon on the new Belle Fourche location Friday. 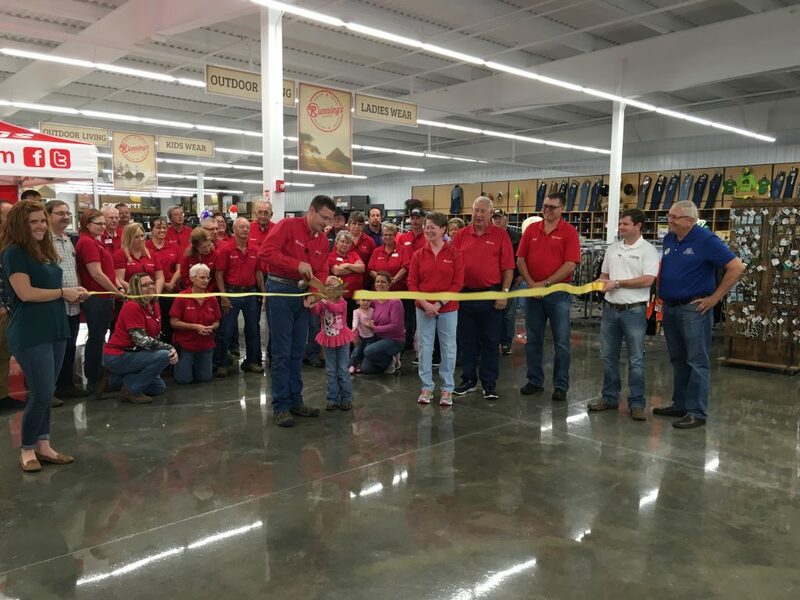 The new Runnings store in Belle Fourche hosted its grand opening ribbon cutting ceremony Friday morning. Representatives from the City Council Kayla Kinard, James Ager, and Jim Smit, as well as the Chamber of Commerce Board and the Belle Fourche EDC, welcomed Runnings owners Dennis and Adele Reed, and their son Brian Odegaard, and thanked them and manager Brandon Freed for investing and expanding in Belle Fourche. The Grand Opening continues through October 2nd, with more activities planned throughout the weekend.